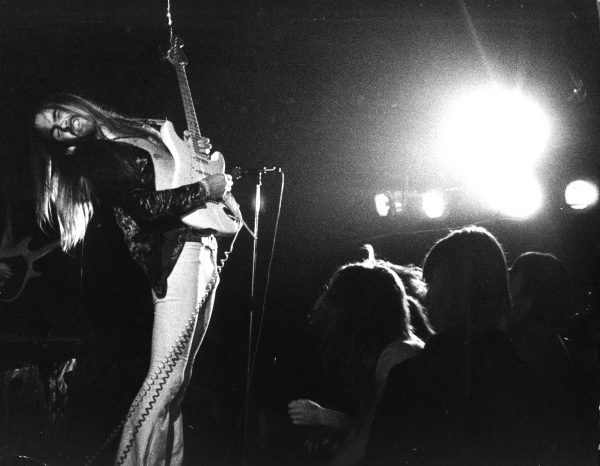 Here is a collection of photographs of some of the most memorable events of Uli's long and colourful career. Many of these have previously been unpublished and all are presented in chronological order. Far from complete, though, we are planning to augment this story book with further pictures. 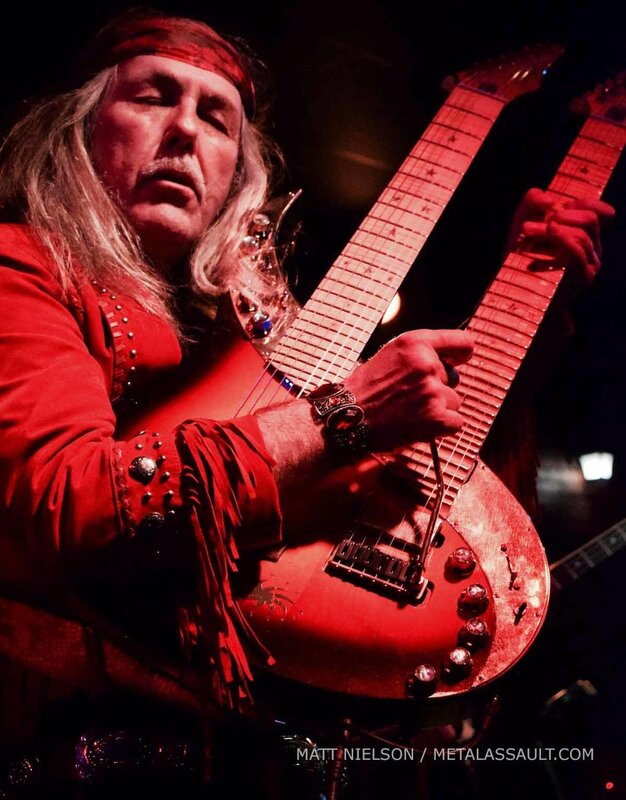 If you have any other live photos from one of Uli's many concerts - particularly rare and early ones - we would greatly appreciate it, if you could send them to us via the contact button. If it fits the concept, we will publish them here with a name credit. ULI at 14, in 1969 playing a Fender Telecaster, which was borrowed, because his Framus guitar was being repaired. 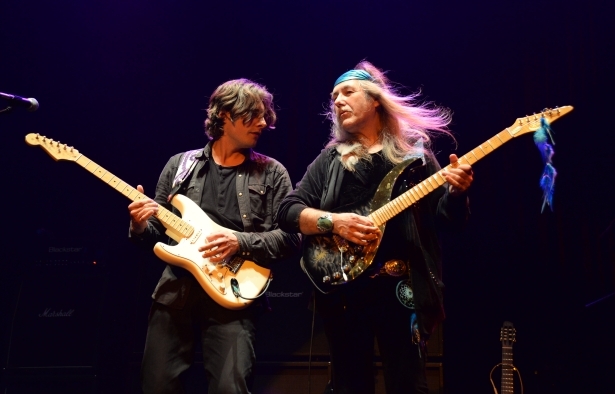 BLUES COMPANY HANNOVER - Uli at 15, playing Ten Years After songs with his then main guitar, built by Framus. 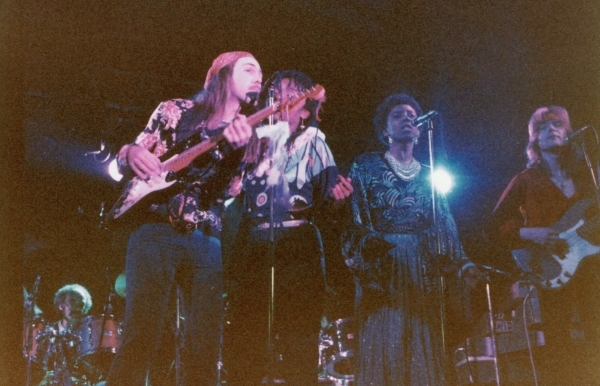 JIMI'S BLUES EXCHANGE (Temporary band name, which later translated into just Blues Exchange). 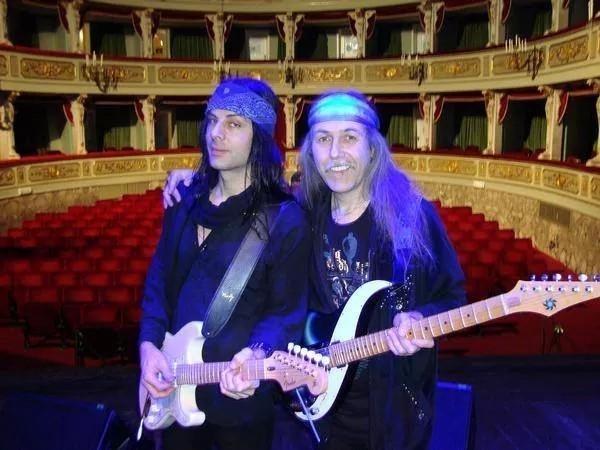 Uli's 2nd show with his new sunburst Stratocaster guitar. His then friend and "manager", Friedrich (Bantel) Budde watching from the left. Open air in Hannover, Auf der Bult, 5. 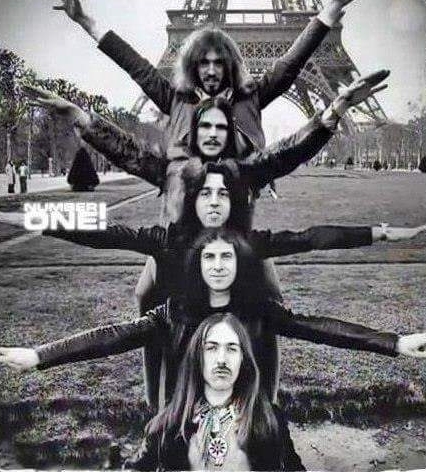 June 1971. 1972 - DAWN ROAD rehearsal at Langenhagen Realschule, "Aula". This is the same hall, which was later used by Scorpions for rehearsals and where the SCORPIONS REVISTED album was recorded in 2013. DAWN ROAD in concert at Altwarmbüchen church. This is a photo from the last DAWN ROAD show ever at the Technical University of Hannover just prior to the new Scorpions. 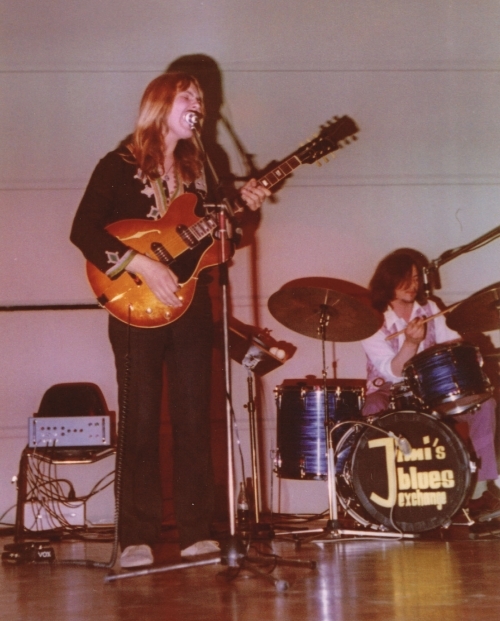 A free concert, the students gathered for a 2nd show, where Dawn Road played on the balcony towards the outside - 7 July 1973. Later nicknamed "the Beast" for its enormous power, which it combines with a clean, but singing tone. 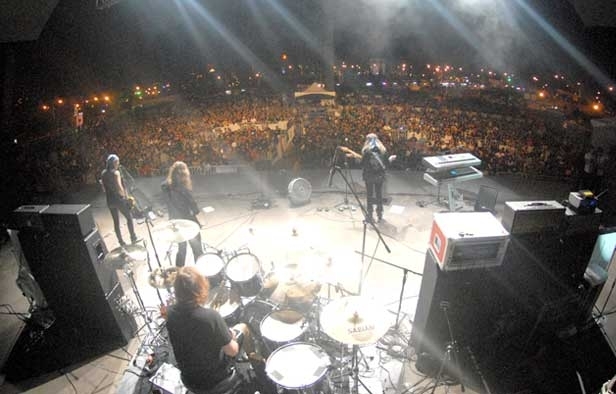 up to and including Scorpions Revisited in 2013. Occasionally "The Beast" will still grace the stage. 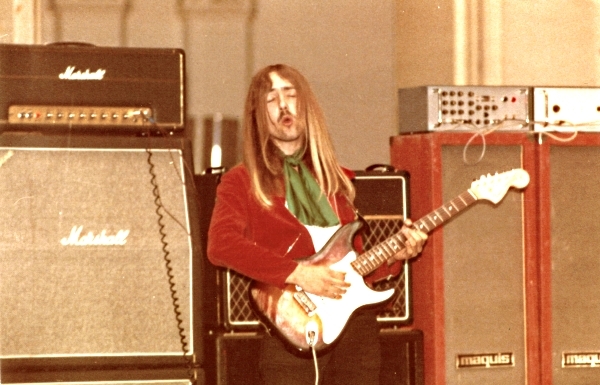 The Marshall Superlead was designed by Ken Bran for Jimi Hendrix in the late Sixties and is still Uli's favourite Marshall amp. Today Uli tends to play Blackstar Artisan Amps, which are more reliable for touring and which are somewhat modeled on the Plexis. 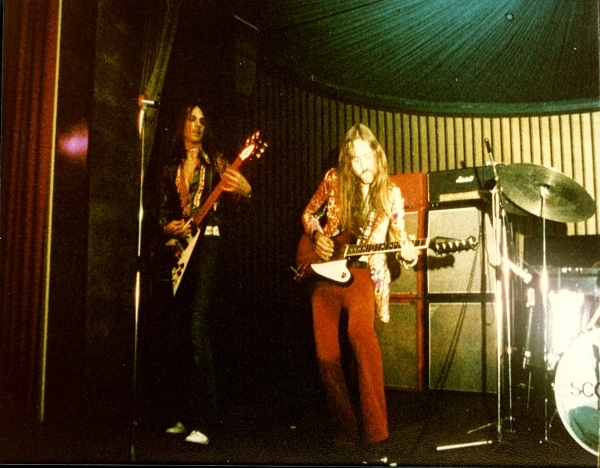 Behind Uli can be seen one of two Vox AC30 amps, which were his favourites before the arrival of the Marshall Plexi Amp. 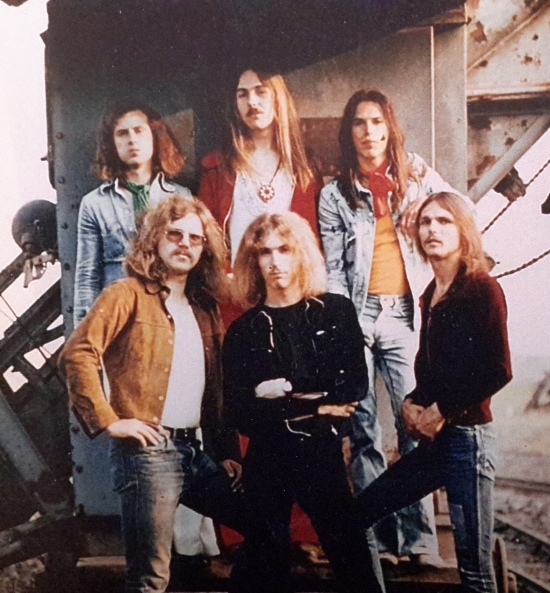 Photo session near Hannover, Summer 1973, featuring the combined Dawn Road/Scorpions line-up with keyboard player Achim Kirschning. SCORPIONS playing at an open-air garden party in Hamburg for the magazine Spontan. 2nd SCORPIONS show at the legendary MARQUEE in London, 29. March 1976. 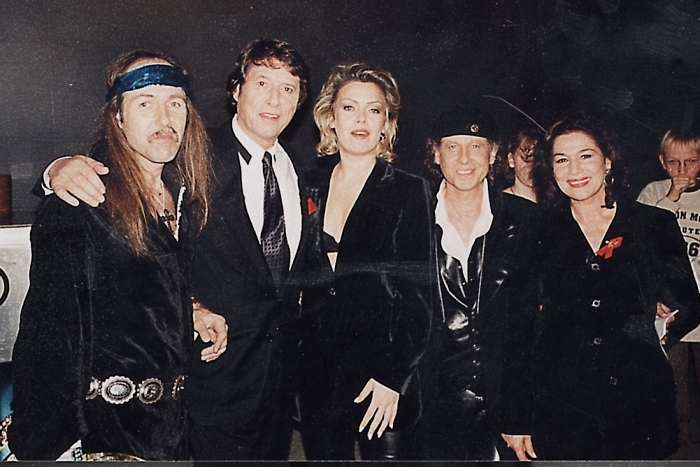 David Gilmour, Michael Schenker, Gary Moore and Monika Dannemann were in the audience. Supporting KISS on their 1st German tour, Düsseldorf, Phillipshalle, May 19, 1976. 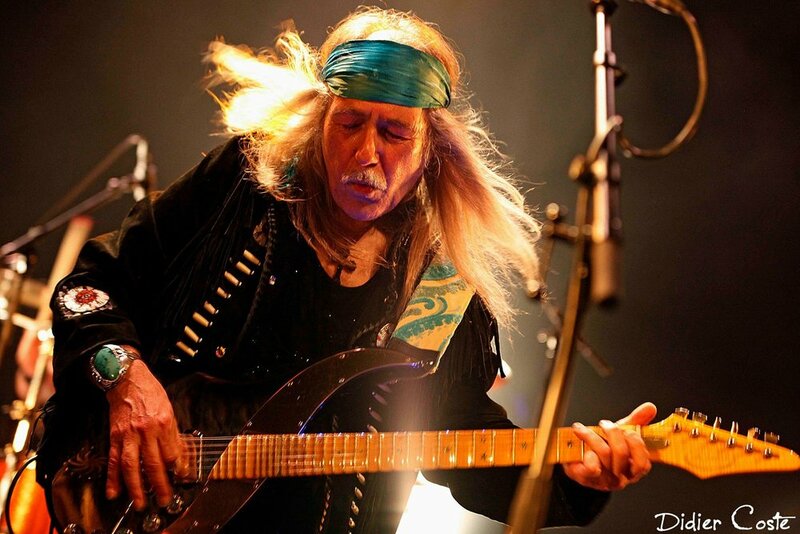 Uli, onstage in Japan 1978 - classic Tokyo Tapes shot. 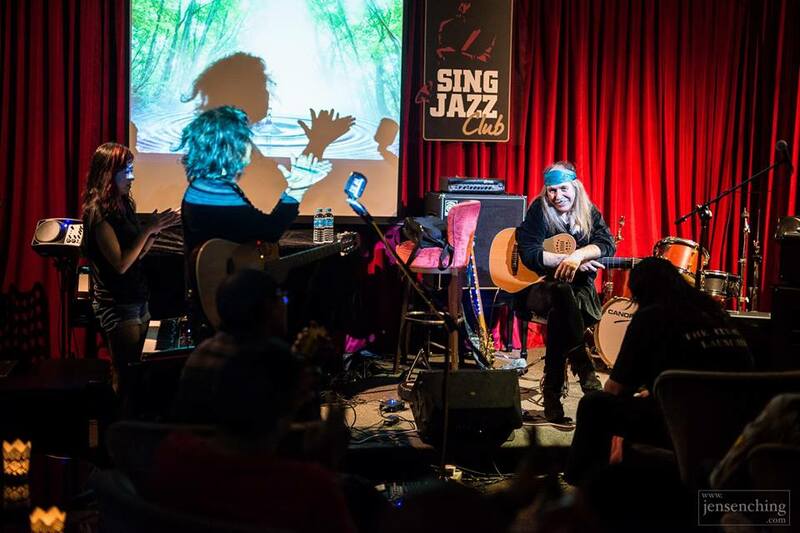 The newly resurrected ELECTRIC SUN as a 7-piece on tour in Sweden. Clive Bunker, Jenni Evans, Dorothy Patterson, Ule Ritgen, Simon Fox and Dave Lennox. 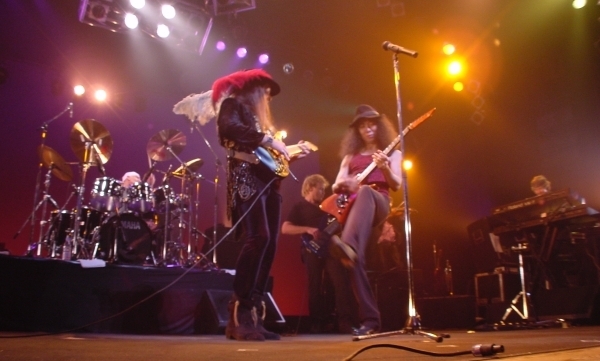 Uli guesting & DEEP PURPLE in Berlin, Max Schmeling Halle, 6. Feb. 2006. 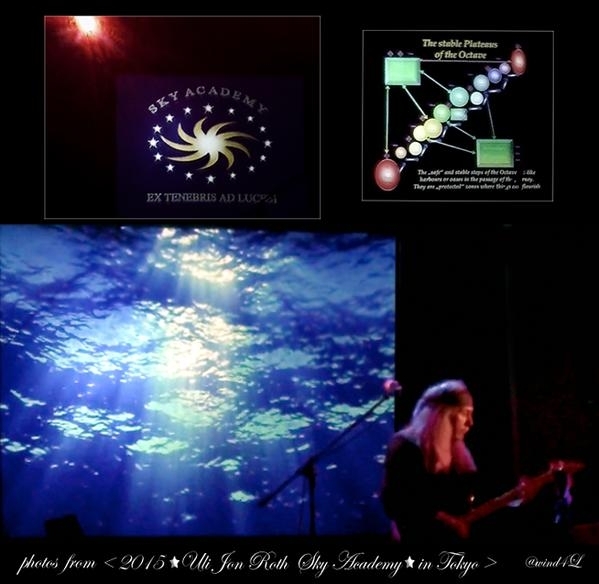 Uli plays the Steve Morse signature guitar on "Black Night"
SMASHING PUMPKINS HEAD-LINING ROCK-AM-RING - extended jam with Uli on "GOSSAMER"
"DEAN JAM" - during the NAMM 2010 show at the Grove Theater in Anaheim, California. 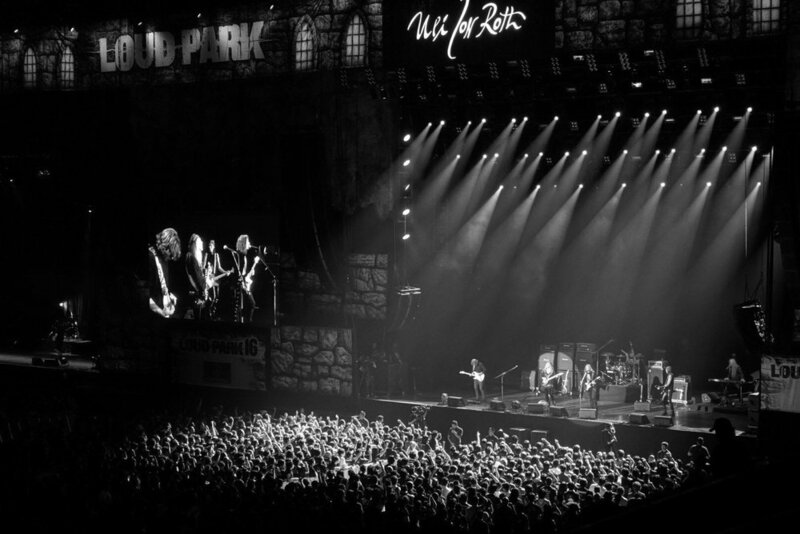 Uli jammed with Carmine Appice, Paul Gilbert, Don Dokken, Warren de Martini, Michael Amott, Gus G and Doug Aldrich. 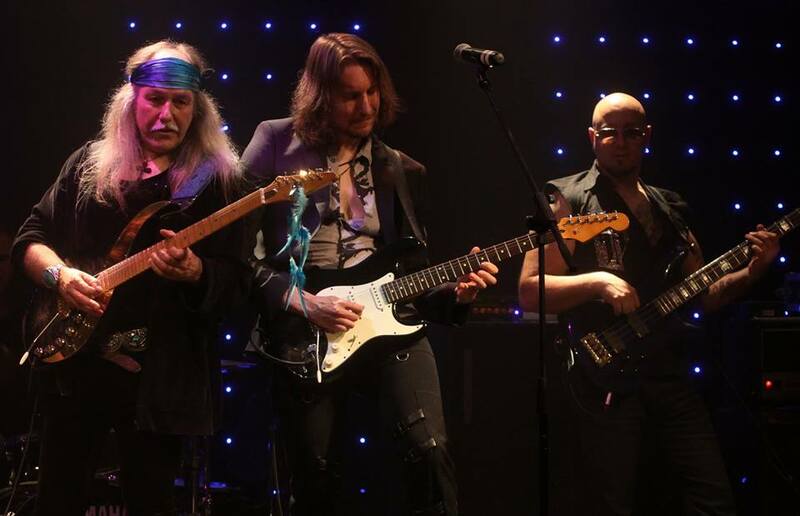 Uli guesting with Kassel Orchestra on "Rock Requiem"
ALFIE BOE, ALICE COOPER, MARK KING, JOHN PAUL JONES, IAN PAICE, SANDI THOM. 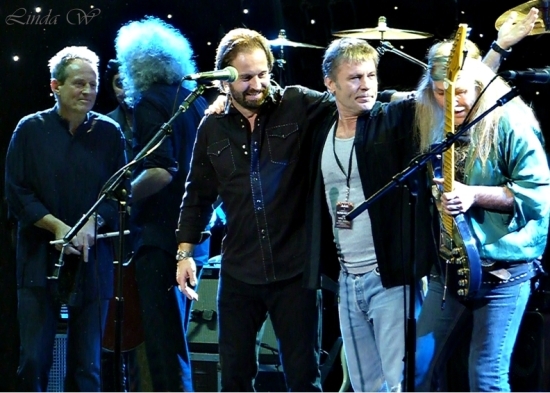 With SMASHING PUMPKINS, surprise appearance by Uli at the GLASTONBURY FESTIVAL.